Queen Margrethe II and Crown Prince Frederik of Denmark are currently making a state visit to Argentina. The state visit begins in Argentina’s capital, Buenos Aires, on 18 and 19 March 2019 and concludes on 20 March with an official visit in the triangle area of Tandil, Necochea and Tres Arroyos. 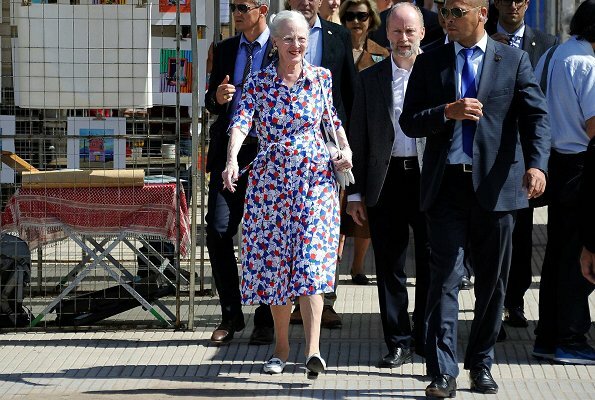 On March 17, Queen Margrethe II arrived in Buenos Aires, Argentina. 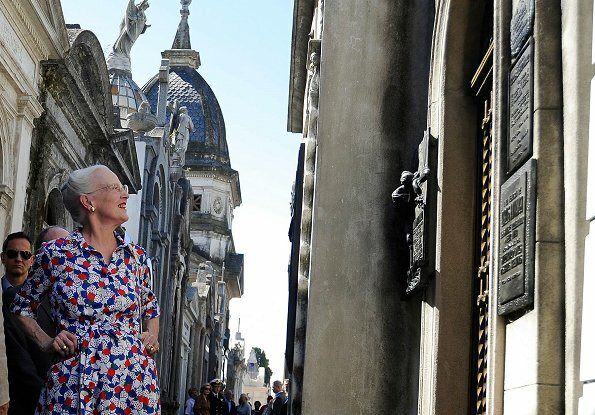 Queen Margrethe II visited the historic cemetery called Cementerio de la Recoleta in Buenos Aires. 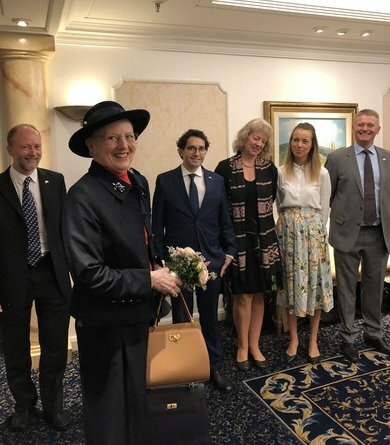 Afterwards, Queen Margrethe attended a dinner at Denmark's Argentina Embassy. She looks lovely in this dress! Glaube aber, dass die Königin schon früher in Argentinien gelandet ist und Frederick erst heute nachkommt. A very charming, elegant and feminine dress. I like her style very much. The Queen looks very lovely in this flowery dress. State Visit to Argentina, she is so far away from home. But lovely as always.